Your call: Will Logan Paul's misadventures force marketers to take a step back from influencers? Less than a week into the New Year and Logan Paul may have already kicked off the third adpocalypse. YouTube is the most popular video platform of our age, but it probably went through its toughest year yet in 2017, with scandal after scandal driving advertisers away in droves; a phenomenon now known as YouTube adpocalpse, of which there have been two thus far. 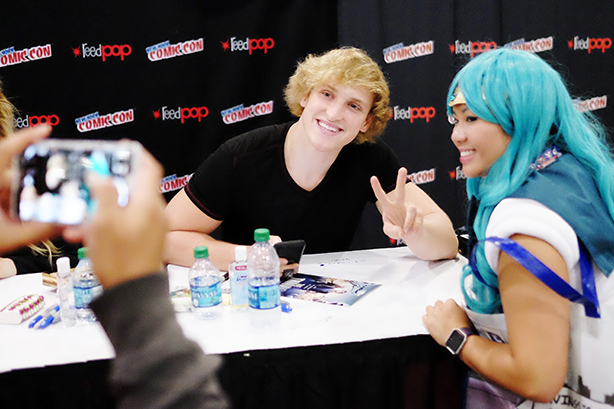 Star YouTuber Logan Paul likely kicked off the thrid iteration of the adpocolypse this week, after filming, editing, and posting a vlog of himself and others touring Japan's infamous "Suicide Forest," where they found the corpse of a suicide victim. The internet flew into a rage at Paul, and he's since apologized twice, but the true ramifications of the blowback are likely still coming. Will that blowback affect Paul and YouTube, or the influencer marketing community as a whole? Will Logan Paul’s misadventures force marketers to take a step back from influencers?